UPDATE: How 'bout some love for nailing Jack Reacher's number. Fine, I was $100K off but in the world of predicting box office figures, none too shabby. On the other hand, This Is 40 didn't go quite as I/Universal expected. Apparently audiences read reviews - like mine - which used words like: "long, unfunny, punishing", etc. And we musn't forget The Guilt Trip, Babs return to the big screen was met with more empty seats than a Roxette reunion tour. While Paramount would have you believe you "deserve" to see Jack Reacher, I'm betting there's not a lot of folks who want to see it. The marketplace has been saturated with gun-toting action flicks over the past several months (Taken 2, Skyfall, etc.) not to mention, the timing for a violence-loaded film is inopportune at best. This is looking like a one-and-done situation rather than the start of a franchise. The Hobbit: An Unexpected Journey $41M - Opened on the low end of expectations (even with the December opening record) but with kids heading out on break, Peter Jackson's spectacle is set to score big cash on a daily basis – vacation days come close to hitting Saturday numbers. This Is 40 $19M - The last comedy to win the weekend? Ted back in early July. And while Judd Apatow's latest crudefest is both unfunny and punishingly long, he's had a reasonably reliable track record at the box office and let's face it, folks could use some laughs right about now. Expect it to score nicely with the on-a-date crowd. Jack Reacher $15.5M - One year ago, Tom Cruise was on top of the money pile with Mission: Impossible - Ghost Protocol. 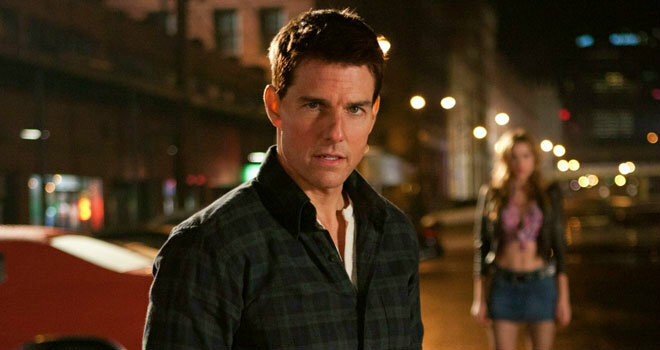 Cruise will be lucky to deposit a quarter of MI4's $209M domestic haul with the book-turned-attempted film franchise. Monsters, Inc. 3D $13M - While Finding Nemo didn't have near the success The Lion King did in its conversion to 3D, Disney should do decent numbers with the re-release of the 2001 Pixar smash. Benefits from the lackluster response to Rise of the Guardians. The Guilt Trip $6.5M - Tempted to put Babs even lower on the list. Looks wretched. Rise of the Guardians $5.5M - DreamWorks Animation has been dealt a massive blow with this failure. Finally cracked the $70M mark in the states, roughly $50-75M less than the studio expected at this point.